One of Toronto's oldest neighbourhoods, Corktown used to be less popular than the Distillery District. These days, however, Corktown is ready to shine. Location: Corktown is located about 2.6 kilometres away from the city centre. It is bounded by Berkeley Street to the west, Queen Street to the north, and Bayview Avenue to the east. The Distillery Historic District is a short walk from the neighbourhood. Transportation: The easiest way to get around Corktown is by streetcar− there are several lines that serve the area. Numerous stops are located along Queen Street and King Street. Two main highways (the Gardiner Expressway and the Don Valley Parkway) are both easily accessed from Corktown. Who lives here: In contrast to a lot of neighbourhoods near Downtown Toronto, Corktown is quiet and largely residential. Many first-time buyers and young professionals working downtown live here. 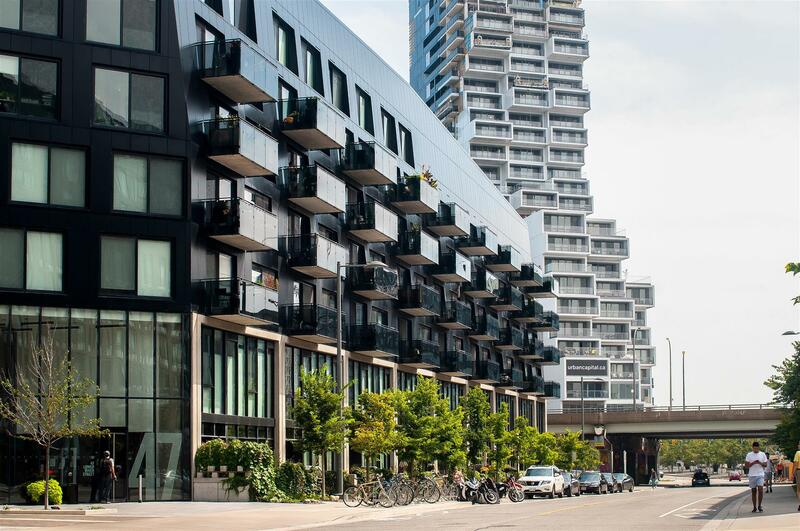 Corktown condos and lofts are considered to be among the more affordable in Toronto, but prices might increase once the neighbourhood undergoes more development. For now, you can enjoy reasonably priced condos and lofts available on the market. Many of Corktown's older and unused commercial and industrialized spaces are also being converted into hard lofts. These add to the mix of housing options available in the Corktown condo and loft market. Corktown condos and lofts have the major advantage of being in close proximity to Corktown Common, Toronto’s newest park. From toboggan hills to an off-leash dog area and connections to the city’s extensive trail network, the park has plenty for outdoor enthusiasts. Corktown Common is full of dips and rises and contains magnificent views of the downtown skyline to the west, a wetland pond, sheltered lawns, and the most spectacular children’s playgrounds in the city of Toronto. The park also offers large gathering spaces for organized events, picnics, and barbecues. For more information about condos and lofts for sale in Corktown, contact Casey Ragan today. 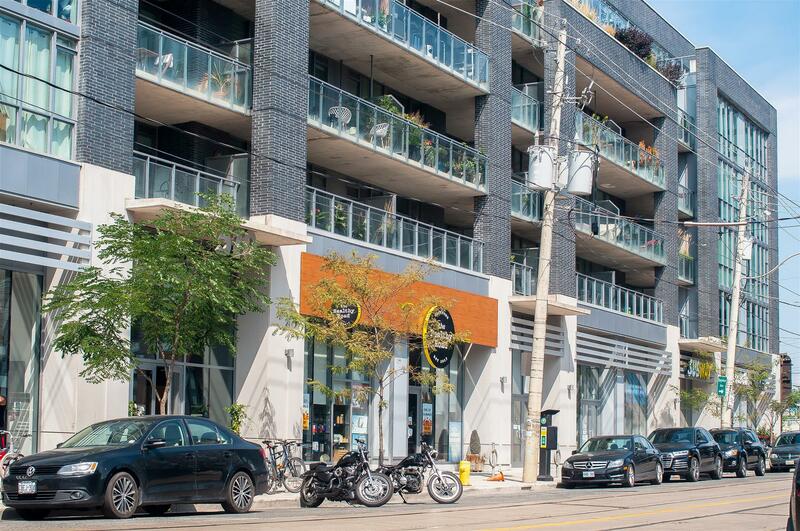 Shopping: Corktown is still in the midst of a revival. Shopping options are rather scarce in this predominantly residential area. That said, a plethora of shopping opportunities are just minutes away. 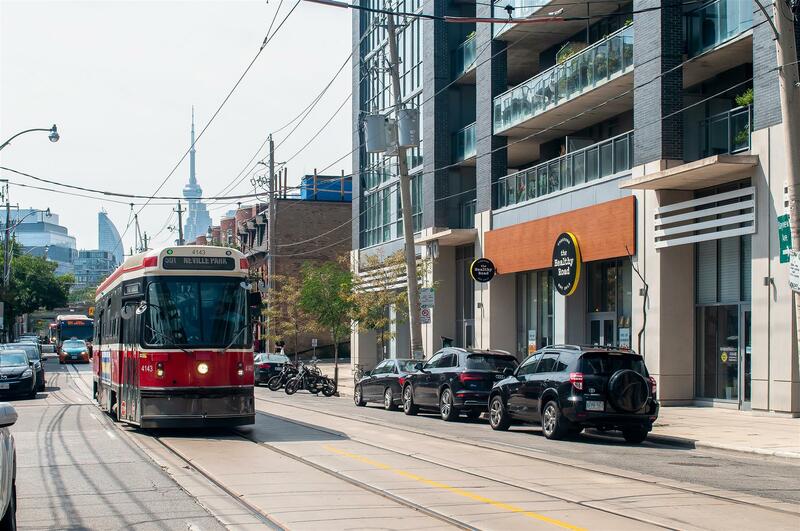 All you need to do is hop on a streetcar that will take you to St. Lawrence Market or the Distillery District. Wining & dining: Most of the dining in Corktown is concentrated along Queen Street, which is its northern boundary. There are also several options that line King and Front streets. Some of the most highly recommended restaurants in the area include Impact Kitchen, Morning Glory Cafe, Souk Tabule, Dominion Pub and Kitchen, Fusilli, and Mengrai Thai. Furthermore, the Distillery District is close by for more dining options. History & culture: Corktown is a living museum, home to some of the oldest buildings in Toronto. Historic sites in the area include the Little Trinity Church, the Enoch Turner Schoolhouse, and St. Paul's Basilica, all built between 1843 and 1890.